Participants Must Complete the Certificate in Holistic Counselling before enrolling. COUNSELLING TO ACCESS THIS COURSE! NOTE: Participants must complete the Certificate in Holistic Counselling before enrolling. The Diploma of Holistic Counselling course began in 2008 due to demand from students wanting to deepen their learnings gained from the Certificate of Holistic Counselling course. For all health practitioners, therapists, counsellors, caring professionals, or persons whose hearts desire is to discover the truth in who we are and support others to do the same. Deepen your own personal practice through honesty, responsibility and compassion. For all health practitioners and therapists, caring professionals, or persons interested in enlightening their experience of life. This is a unique opportunity to create in-dependence (self mastery). From this position true healing happens both personally and as a professional. Our holistic approach ensures transformation emotionally, mentally, physically and spiritually thus manifesting your vision of life naturally. The Diploma course is aimed at transforming practitioner’s personal patterns and experience of Self, enabling deeper insights, understanding and experience of the true nature of healing and Self. This enables practitioners to truly facilitate clients personal transformation from the depth of knowing and experiencing the divinity of themself. Holistic counselling has given me skills, knowledge and abilities both personally and professionally that are perfect for my nutrition path. Thank you for putting together such a wonderful course. This course has taken me from who I thought I was to who I am truly at my core. The course is brilliant, put together in such a away to allow us to explore and grow and learn and evolve through the web of processes, course work and unity. The course, without doubt, has been a transformative and life enriching experience. Whether I used the tools, awareness, skills and knowledge I’ve gained in a professional capacity or not, it wouldn’t matter to me. The value has been in that its led me to create a more meaningful and peaceful life. Thank you so much! This course has truly changed my life – I’m not quite sure where to begin!! It changed my life in ways I never dreamt of. It was the best money and time I have ever spent in my life – and then some. Thank you beyond words. Family Constellations completely changed my life! Family Constellations saved my life. A wonderful, enlightening, enriching and humbling experience. Intensely powerful! The weekend with Wendy was inspiring. I love “ the Work” and had already done a bit of work last week in the lead up to the weekend. Wendy made it very clear and easy to understand the process, the questions, pacing “the work” with the client and only gently pushing when there was an impass. Her student live sessions were held in a sensitive and client focused / paced manner. She was patient with students struggling with the concept and also acknowledged those for whom ‘The Work ‘seemed more natural. I already feel that the journey towards being a facilitator in The Work one day is part of my life path! I love the weekend and feel you have a sensitive and intelligent facilitator in Wendy! It was an incredible weekend of insights and connection in an extremely supported, gentle space. Wow what a weekend of self enquiry! Informative. I have been introduced to a lot of important tools, insightful. The days that we all got together as a group was fabulous, the online group sessions and learning at my own pace.I gained knowledge in a wide form, from attachment styles, trauma, working with people and structural and systemic constellations. I also made great friendships. It also was a tremendous step and support in my own personnel growth. The Diploma of Holistic Counselling includes 9 modules over 18 months, 7 study groups, 2 private consultations, course manual, 100 hour community volunteer placement, online classroom resources, 30 hour Effectiveness Training program, pair projects, mentoring webinars & certificates given on successful completion. Moving beyond the past to the present. Being the future. The Work of Byron Katie –The Great Undoing: Four Questions That Can Change Your Life. Stressful Events: What are our motives? Introduction to the Principles of Family Constellation, by Bert Hellinger. Key components of Family Constellation work: Family History, The Family Soul, Orders of Love, Function of Conscience, Belonging, Balance of Giving & Taking, Fate, Those Who Come First come First. Developing Open Focus to read the family history in the body. Personal Constellations - Experience being a representative, part of the holding circle and insights. Experience this phenomenological approach through being a representative. Somatic Imaging developed by Dr Jane Peterson. Address issues such as adoption, abuse, illness, belonging and much more. Creative visualization: a simple and powerful tool reconnecting sub-personalities ie: wise self, sensual self, inner child, sexuality etc. Who Am I Beyond the Story and Processes? Personal issues effecting being a counsellor. Brenda founded The Awakening Group P/L (formerly known as Awakening WoMan) in 1993. Her clear vision was to empower each individual to live their true potential. 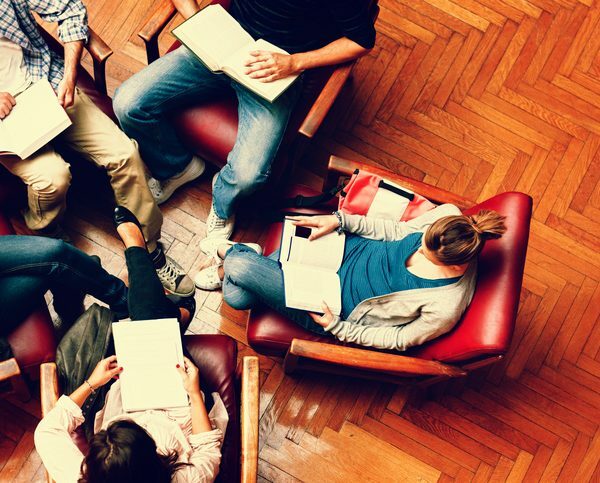 Since then The Awakening Group has grown to offer programs for organizations and businesses to bring teams together, effectively communicating to deliver results across the board. Brenda B.Soc.Sc. (Psych) is a Holistic Counsellor, Trainer and Consultant with her practice grounded in over 30 years experience. She is the founder and Director of The Awakening Group accredited training programs and workshops conducted throughout Australia. Over the past 20 years Brenda has taught at universities, lectured at conferences, appeared on TV and radio, written for magazines and conducted seminars throughout Australia and NZ. She has facilitated many workshops for private, corporate and governmental organizations on personal growth and professional development. Brenda is a dynamic counsellor and educator who employs her intuition and professional knowledge to gently guide every individual in living their truth. Throughout her career Brenda has combined her personal commitment to her own self growth and extensive, yet unique, professional training including Psychology, Art Therapy, Tantra, Eco-psychology, Soul Centred therapy, Kinesiology, Family & Organizational Constellation with world renowned facilitators (Dr Gunthard Weber, Dr Albrecht Mahr, Dr Guni Baxa, Dr Ursula Franke, Jakob Schneider, Dr Jane Peterson, Ed Lynch, Stephan Hausner etc). Further Brenda has trained with Bessel van de Kolk (one of the worlds leading trauma experts and combines neuroscience, attachedment Styles and arousal regulation to support memory reconstruction. She has also trained in The Work of Byron Katie and is a Effectiveness Training instructor. Furthermore Brenda is a PACT Level 1 Couples counsellor having trained with Stan Tatkin (author of Wired for Love). You have the power within to transform and live your hearts desire. Brenda creates an opportunity to take you and your experience in relationships, life, career and love a step further in authenticity to be the person you dreamed yourself to be. Discover and live new possibilities within yourself, relationships, career, sexually, health, with money and life. Individual sessions, couple counselling and workshops are available (also via Zoom online) to support you in moving into the freedom of being. Issues of anxiety, fear, stress, anger, grief, sexuality, illness, relationships and much more are addressed with each session personally tailored to transform issues standing in the way of being the more of you. Since her first introduction to The Work in 1995, Rosie has been passionate about this tool for freedom. She lived and worked with Katie for 2 years setting up the Center For The Work in Barstow, California. Rosie was the primary facilitator at The Center For The Work when Katie was unavailable. Since her return to Australia in 1998, she has been offering workshops, retreats, private sessions and evenings of The Work throughout Australia and New Zealand. She is a certified facilitator of The Work and brings a depth of wisdom and truth, honesty and compassion, love and laughter to this life changing work. Since beginning her 28 years practice of Nichiren Buddhism, Catherine has devoted her life and work to integrating mind-body-spirit health. She has learned and observed the profound connection between the health of the individual and the health of the Systems in which she or he lives and originates. She has spent the last 18 years learning about and practising Family, Couple and individual therapy, as well as Family Constellations. She recently completed level 2 training in Sensori-motor Psychotherapy- a body centred healing modality developed by Pat Ogden, that incorporates mindfulness, talk and emotions with body work, to enable releasing from the effects of developmental and traumatic injuries. 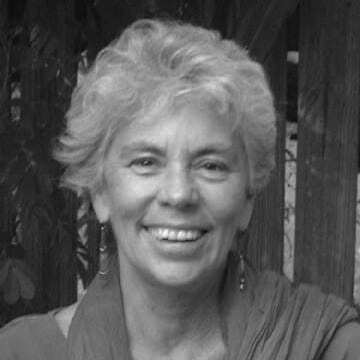 Cate Crombie is an internationally accredited trainer with the Centre for Nonviolent Communication (CNVC) based in the USA and an ETIA Effectiveness Training instructor. 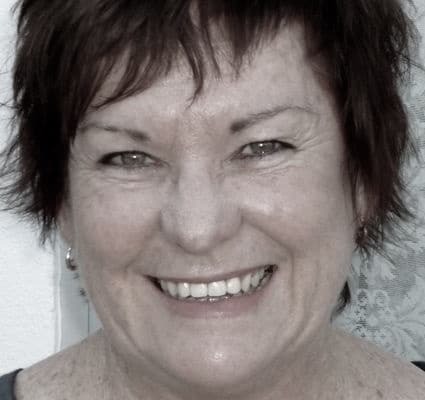 Until recently, Cate was the President of CNVC USA and for many years the CEO of ETIA Ltd, but is now President of ETIA QLD a not-for-profit registered training organization coordinating effectiveness communication programs. 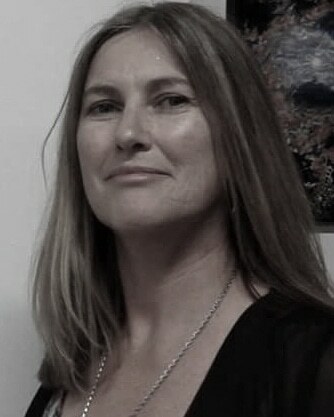 Cate has worked in numerous roles in Australia, NZ and Singapore with parents (being a mother of 3 girls and grandmother) and schools for over 25 years including offering community education in interpersonal communication, parenting and anti-bullying as well as school/community liaison. 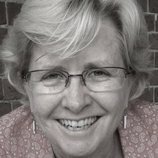 Cate currently facilitates Compassionate Communication training workshops and sessions in a variety of settings including community centres, corporate organizations, disability organizations, and private as well as state schools. Cate has a deep commitment to building community and making family life and life for individuals easier and more wonderful through acknowledgement, encouragement, environment, enlightened education and training. Celia is well versed in the needs of students and workshop participants across a range of disciplines. 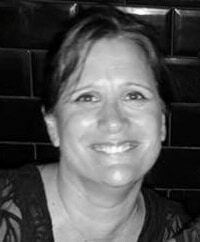 She has worked as a university tutor and research assistant and is qualified as a Holistic Counsellor and undertaken her Systemic Constellation Facilitator Training with The Awakening Group. Her background is in health and welfare. She trained and worked as a registered general nurse, and completed degrees in Human Movement (BAppSc Hons), Recreation & Leisure Studies (MA), Sociology (PhD) and Teaching English as a Second Language (Graduate Diploma). Her thesis research investigated aspects of women’s work and leisure, ethics of care, and international childcare policies. Upon marrying and relocating to Seattle (USA), Celia’s focus became her family. Her three children rekindled her sense of play, inspired her to paint, and encouraged her to practice being resourceful, creative, empathic and patient. Motherhood also propelled Celia into facilitating a women’s support group, volunteering as an art appreciation teacher and becoming an executive member of numerous school and sports club committees. While working as a Teacher’s Aid supporting children with learning and physical disabilities, and volunteering as a home tutor for new migrants and refugees, Celia became more interested in understanding childhood and generational trauma. 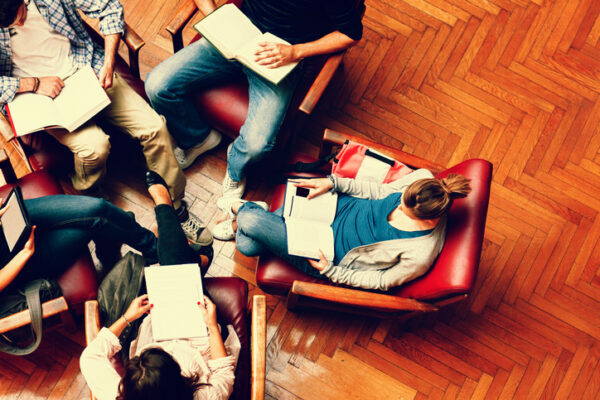 Currently Celia is The Awakening Group academic student support as she has been there and knows the information, and requirements each student needs to gain competency. Jane brings a wealth of experience, academic research and unmovable integrity to all the work she does with clients. What shapes us as human beings? Organized one of the first 21 day SCW trainings in US, with Sneh Victoria Schnabel. 1999-present Facilitator, trainer, organizer, consultant, and thought leader in Systemic Constellation work. 1996 Designed, developed & maintained website for Blue Heron Productions introducing Peruvian Q’ero and Inca teachings world wide. 1993-1998 Professional sculptor and potter. Member of Oregon Potters Association (OPA). Represented by Changes Gallery, Mirror Pond Gallery, Essence of Fire Gallery. 1992 Founder & creative director, Laughing Bones Art Studio. Co-founder and treasurer of Essence of Fire co-op gallery with other members of OPA. 1978-1987 Tektronix, Inc. 5 promotions in 8 years: Manufacturing Engineer; Product line engineer; Project Manager; Manufacturing Engineering Manager and Reliability Manager; R&D Ink Chemist. Rapidly promoted from engineering to management. Experience in production, internal start-up company, new product introduction, research and development. Peterson, J. (2005). Deep roots: Musings on the philosophy of constellations. In Lynch, J. E., & Tucker, S. (Ed. ), Messengers of healing: The family constellations of Bert Hellinger through the eyes of a new generation of practitioners (pp. 40-57). Phoenix, AZ: Zeig, Tucker & Thiesen. Peterson, J. (2005). Some heretical thoughts on organizational constellations. In Lynch, J. E., & Tucker, S. (Ed. ), Messengers of healing: The family constellations of Bert Hellinger through the eyes of a new generation of practitioners (pp. 140-156). Phoenix, AZ: Zeig, Tucker & Thiesen. Peterson, M. J. & Causley, G. C. (1989). Ink jet printer ink composition and process for producing same. (US Patent # 4,818,285). Advisor to 2011 US Systemic Constellations Conference (Oct. 2011, San Francisco, CA). 2010 to present. Married since 1981 to the same wonderful man! Owned by two beautiful and mischievous Russian Blue cats nicknamed Bu and Schmu who assist with filing in my office. Enjoy gardening, singing, travel, reading, Chinese tea and dim sum. 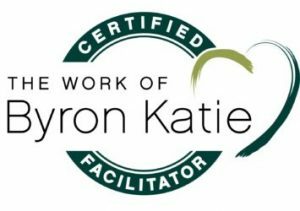 Wendy Davidson is an experienced Management Consultant and Certified Facilitator of The Work of Byron Katie. Wendy’s career has encompassed community development work in the not-for-profit sector and more recently management consulting with business, government and community sectors. She works extensively with individuals and organisations in planning, development, mediation, facilitation and coaching. Wendy utilises The Work of Byron Katie as a process to unearth personal wisdom, knowledge and capability and to elicit long-lasting change for individuals and organisations. Wendy offers The Work as method to identify internal obstacles, question limiting beliefs and transform lives. “My own personal journey as a young child I would often lay on the ground in the dark, gaze at the night sky and look into the stars. I remember feeling that all was right in my world. I felt connected, at home, peaceful. Then at the age of 8 my father died, suddenly. He drowned. Purposely, some suspect. As a child, I did not understand my father’s depression nor the mental illness that ran through his family, randomly carrying others on its tidal wave. I felt guilt, shame, not good enough and a deep sadness which became abiding unhappiness. I stopped looking at the sky. The stars went out. From then on I lived my life on alert, looking for the next danger. I believed there was always something that could go wrong. I would try to control everything in my life and in the lives of others, particularly of those close to me. There was always something that might go wrong and I needed to manage it, control it, fix it. Nothing was ever right or good enough, including me! I used anger, criticism, and blame toward others and the world. The Work helped me to unravel my learnt distrust. I learnt to notice when I’m on alert looking for the next danger and now find myself smiling at my old habits and need for control. It’s such a relief to understand that those long held beliefs and habits of anger, criticism, blame, and even self-loathing are simply reflections of a fearful mind”. There are 3 units: The Work of Byron Katie, Family Constellations and Effectveiness Training online that are credited to the 2018 program. CLICK HERE for details. A $350 non-refundable deposit secures your place for the full cost. Please note payments are subject to The Awakening Group terms and conditions. The cost includes classes, study groups, maunal, little Loving What is booklet, online library access, student library with books, DVDs, CDs, Effectiveness Training workbook, certificate, two individual sessions, mentoring etc. International Institute of Complementary Therapists (IICT) - membership & insurance in Australia, New Zealand, UK, Ireland, USA, Canada, Germany, France, Spain, Portugal, Denmark and Gibraltar. The course is over 700 hours training over 18 months - 2 years. Cost is approximately $180 - $200 for text books. Students may borrow books from our student library. Pay the full amount for the class upfront, rather than paying monthly & save $400. Offered in both Brisbane and Melbourne. Payments are run over 12 months via Direct Debit system, which is set up by the College, once the non-refundable deposit is paid of $350. Monthly cost is $553.75 per month unless negotiated. Offered in both Brisbane and Melbourne. February 23rd 2018 in Melbourne, March 23rd 2018 in Brisbane.